Trees absorb carbon dioxide from the atmosphere and store it in their roots and leaves. 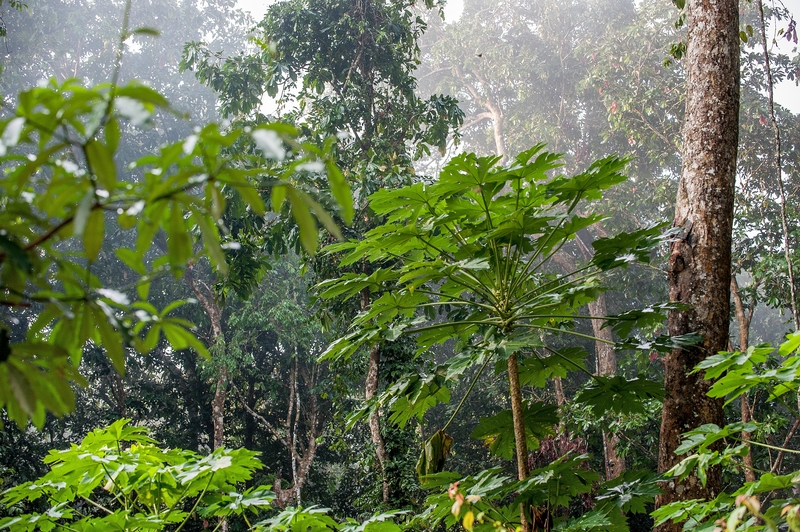 FIU ecologist Jason Vleminckx and a team of researchers found small trees can store carbon for an average of 74 years, whereas big trees can store it for an average of 54 to 57 years. That’s because the small ones grow slower and live longer than the big ones. Vleminckx was part of an international research team who conducted the study. He collected data and co-authored the study. Assessments on how much carbon dioxide has been taken out of the atmosphere and stored in a forest have traditionally focused on big trees because they’re easier to see and measure, Vleminckx said. Although forests are made up mostly of big trees, they suffer the most during droughts. The understory where small trees live is also more biodiverse than the canopy where big trees live. Small trees, therefore, offer long-term stability in moving carbon through the atmosphere. Accounting for all the trees in a forest is critical for accurately predicting carbon cycling and effective conservation management, according to the researchers. The study was led by the Royal Museum for Central Africa, an ethnography and natural history museum in Belgium. It was recently published in Nature Plants. Vleminckx is a postdoctoral researcher in the International Center for Tropical Botany at The Kampong. a collaboration between FIU and the National Tropical Botanical Garden. The center is dedicated to the conservation and sustainable use of tropical plants through research, education and outreach.